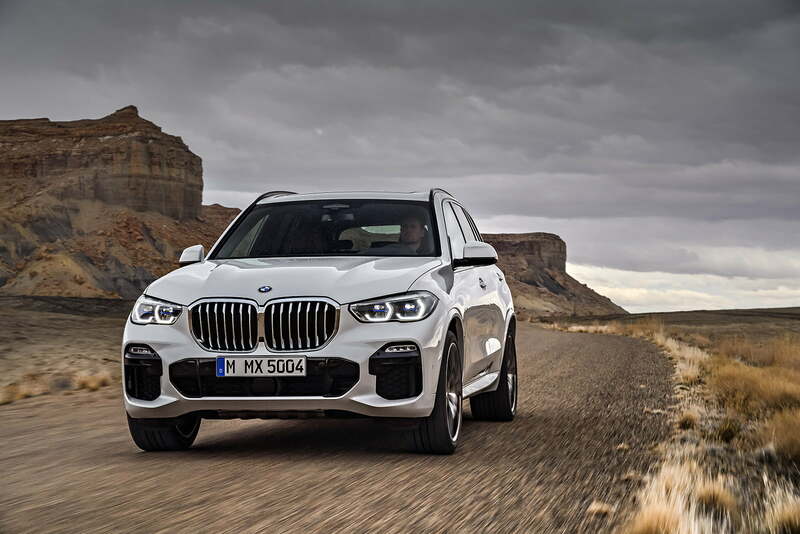 Every detail a statement, every drive a testament to the expert craftsmanship and engineering that went into the creation of the 2019 BMW X5. With great deals currently on now at our Mississauga dealership, now is the time to test drive this model. This article by Pfaff BMW will be exploring the impressive character of this capable machine, so read on to learn more. All it takes is the slight pressure of your foot on the pedal to unleash the power of the BMW X5 xDrive40i. The refined BMW TwinPower Turbo inline 6-cylinder engine works in accordance with the xDrive all-wheel-drive to provide superior traction and sheer power whenever you take command of the 340 horsepower and 332 lb-ft of torque at your disposal. Achieve optimal driving pleasure and maximum driving dynamics with the use of the optional 8-speed Sport automatic transmission and the xOffroad Package, with 2-axle air suspension. Sometimes it is the little details that make all of the difference. BMW has meticulously thought of everything when it comes to the comfort, convenience, and overall ambiance of this vehicle. Let in the sun and open yourself up to the fresh air thanks to the Panorama glass roof with an optional sky lounge. Expertly crafted glass features set the stage for exclusivity, while the ambient lighting creates an intimate atmosphere. Immerse yourself in the luscious interior completely, with the optional Ambient Air Package, as it offers you four distinct natural fragrances to reflect your driving mood. With the Bowers & Wilkins Diamond Surround Sound System providing you perfect audio quality on your drive, tantalize every sense when you enter this luxurious cabin. Carefully and safely organize your cargo space with the use of the Smart Luggage Compartment Management of the X5. Sliding and anti-slip rail supports your cargo while in motion, keeping everything in place on bumpy drives. When the tailgate is opened, the electric luggage compartment cover retracts and disappears below the floor insert at the touch of a button, making seamless accessibility an everyday occurrence. Easily reach the lower and upper sections of the split tailgate with electric open and close functions for convenient loading and unloading. Kit out your vehicle with the Comfort Access features, and obtain even more functionality as the motion of your foot below the rear bumper will trigger the trunk to open. Test drive the all-new 2019 BMW X5 today at Pfaff BMW, located at 4505 Dixie Road. For more information about how you can get behind the wheel of one of our superior vehicles, please feel free to continue browsing through our website, or click here to find our contact information, or to fill out our contact form for further assistance.